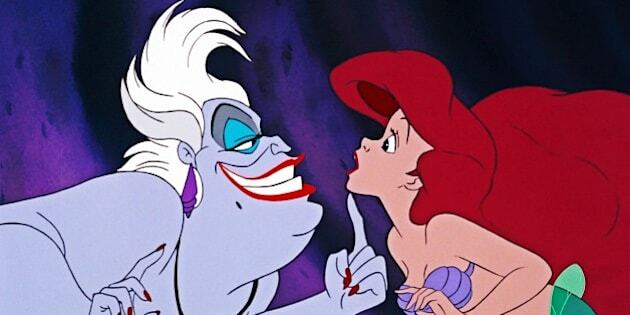 A live show of Disney’s “The Little Mermaid” is happening -- with Sara Bareilles as Ariel and Australia’s Rebel Wilson as the evil sea witch, Ursula. Billboard reports the live performance will take place at the Hollywood Bowl on June 4 and see Bareilles and Wilson lead a cast performing songs as the film plays backed by a 71-piece live orchestra. Wilson posted to Twitter confirming the news, telling fans to “get ready for some LIVE mermaid dancing,” she wrote. Get ready for some LIVE mermaid dancing!! So excited to be performing Ursula at the Hollywood Bowl June 4th! Oscar-winning composer Alan Menken who co-wrote the music for the 1989 film and is the brain behind gold like “Part of your World” and “Under the Sea” is on board with the project, with Michael Kosarin leading the orchestra. For those of us who don’t reside in Hollywood, you’ll be glad to know there has been talk of touring the live performance however, Menken revealed to Billboard that there are “no concrete plans yet". Prince Eric will be played by “Glee” actor Darren Criss along with John Stamos as Chef Louis, Tituss Burgess as Sebastian, Norm Lewis as King Triton and Joshua Colley as Flounder. And if an Ariel and Sebastian throwback isn't enough for you, a medley of Menken's best songs from "Beauty And The Beast", "Aladdin" and "Pocahontas" will open the show. Tickets for the event will go on sale April 9.